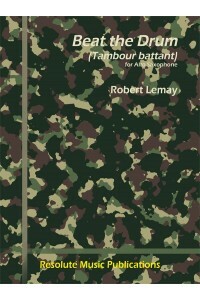 Beat the Drum by R. Lemay. by Robert Lemay. 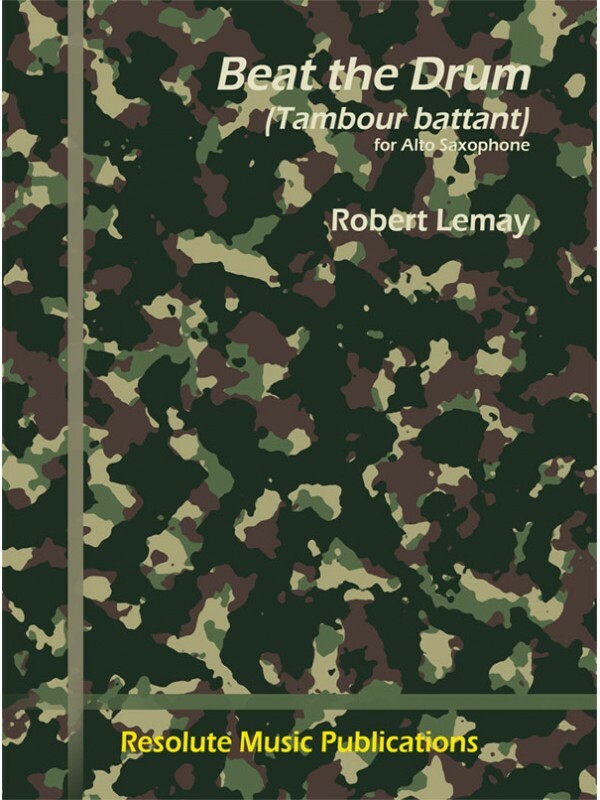 Beat the Drum (Tambour battant) is a short solo, envisioned to help young alto saxophonists discover and become comfortable with performance of contemporary music. "The attitude of the musician on stage is initiated very young, and with the part proposed by Robert Lemay, dramatization becomes fun and enjoyable for both the performer and the listener. This text parody of military "rituals" desecrates the dramatization. The musician enters on stage imitating a military march played by a drum. Using song, onomatopoeia imitating percussion, slamming feet, the composer adds an extra dimension to the interpreter. This piece consists of subtle rhythmic elements and melodic phrases, a mixture of classic and contemporary notation, instrumental and vocal sounds and noises (foot, step or slaps). My opinion: an item which helps improve living and accessing music of today, and introduces the performer to theater music. A play in your next audition!"